This event finished on 24 January 2014. Held at Sid Sidhu’s home, the 4th Friday of each month. This observer’s group meets at a dark site in the Highlands of Victoria, BC. Members are able to use the Centre’s telescopes to learn basic observing and telescope operation skills. 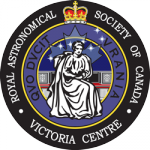 This event was posted in Instruction by RASC Victoria. Bookmark the permalink. I might be interested in this group, how do I become a member.